Selling and buying any property is associated with huge risks. Therefore, it is wise to opt for the assistance of real estate companies in Lebanon. With the help of the internet, you can easily find the reliable and leading service providers of the industry. By having the services of renowned firms you may not face any kind of hassle and disappointments. Therefore, for experiencing most gratified services, you can contact with the Sakan Real Estate. We have been in this industry for past several years and committed to serve clients with transparent solutions. Our company specializes in the sale and rental of the properties. Therefore, if you are looking for the properties for sale in Lebanon or would like to sell any land, then you can rely upon us. Apart from that, our company specializes in buying and selling of the land both commercial and residential. Our core mission is to provide best suitable and affirmative services. 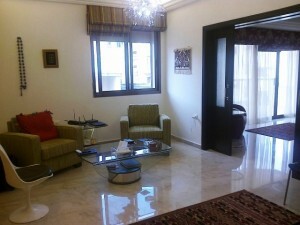 We are dedicated to provide our services in entire Beirut and other nearby areas. Moreover, customers who belong to abroad can also opt for our assistance. Our team of experts has immense experience of the industry and committed to assist you throughout the process. Therefore, if you require any consultation then feel free to contact us today.